Leonardo DiCaprio looked satisfied with his catch Friday night. 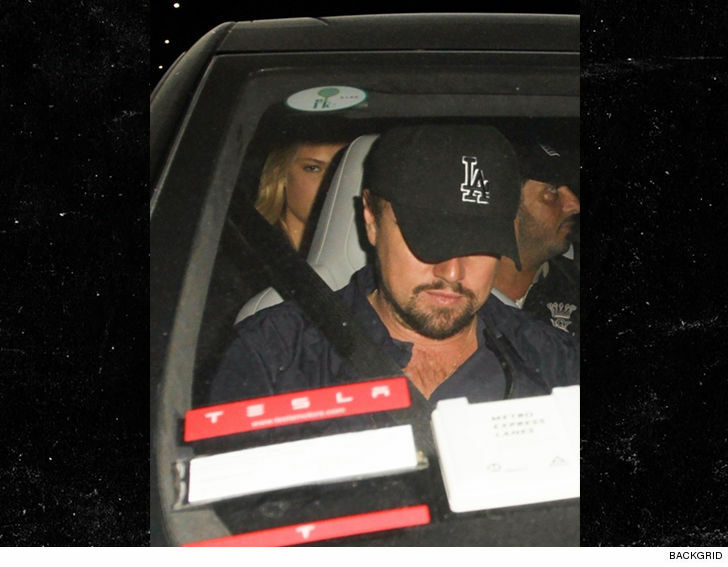 Leo was showing his L.A. Dodgers colors as he left an L.A. nightclub with Toni Garrn eyeing the photog from the back seat. Leo and Toni have been on-and-off for awhile. We got the 2 of them in September leaving 1 OAK in New York City. Check out the sticker on the widnshield … the famous environmentalist is riding shotgun in a Tesla. Leo and Elon Musk are tight … working on projects and even partying together.